Oven Cleaning Service and your Questions Answered. Cleaning your oven can be such a chore so why not let us make your life a little easier. With appointments to suit you Monday-Friday our oven cleaning specialists use professional fully biodegradable – eco-friendly products (septic tank safe) appropriate to your Oven, AGA or Range. Removing grease, burnt on carbon and food from the oven and shelves, your oven will be left in most cases looking almost as good as new! Who needs a little OvenMagic? Landlords, tenants, anyone moving house! Whether you are moving in or out of a property or trying to let it, a clean oven is a must. 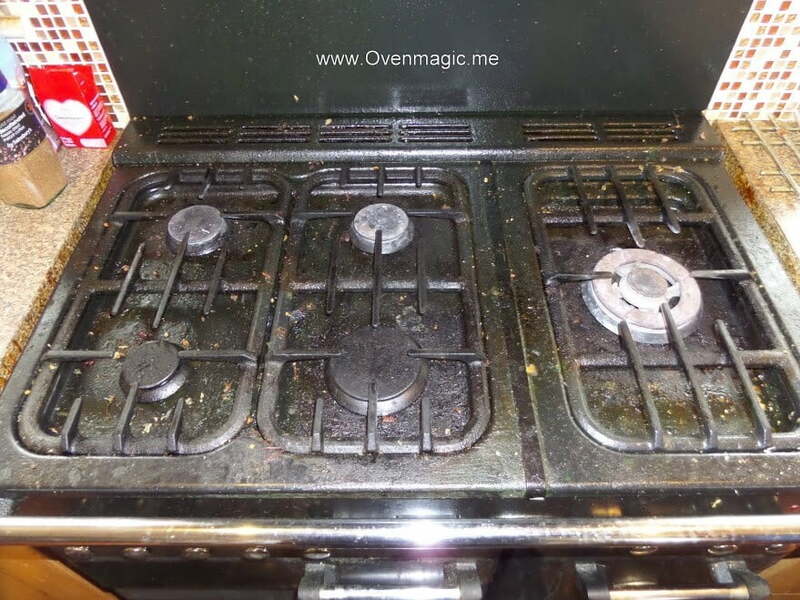 OvenMagic saved a number of Landlords the expense and hassle of replacing the oven because of it’s condition. OvenMagic can clean all domestic and commercial ovens, hobs and even microwaves. From private residences to catering premises we can clean it all. Appointments can be set at times to suit you and your business, contact us to discuss your requirements now. If you have any questions related to any of our services please don’t hesitate to call us at 0121-285 1069 or for a free quote contact us. Here are few common questions we get asked. How long does it take to clean my oven? It usually takes between 1 1/2 to 2 hours to clean an oven. 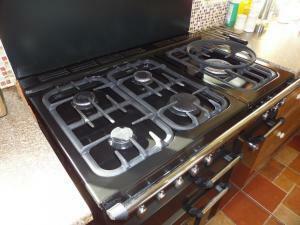 However a larger appliance, such as a range or AGA is likely to take about three hours. The price quoted is based on the expected amount of work involved due to the size of the appliance. There won’t be any hidden extras such as VAT. Our charges are NOT linked to how dirty your oven is. How do you actually clean my oven? All removable fittings such as stainless steel racks, grill pans and removable interior panels are taken out of the oven and soaked in our van-based tank. Whilst these are soaking, the remainder of the oven is cleaned by hand using special tools and eco friendly cleaning products. We remove all grease and burnt-on carbon from interior surfaces, then where possible strip down the door to clean the inside and outside of the glass, including the exterior of the oven. Once they are clean the removable items are returned to the oven. The results we can achieve depend on the condition of your oven, of course, but we are confident that you will be amazed by the results. Yes we are. We hold full public liability insurance as well as being fully insured for both the items being cleaned and anything on the premises (many cleaners do not hold both). Can you put a price on peace of mind? Do you replace extractor hood filters? Yes, we can do this for you whilst we are cleaning the extractor hood. No we don’t, we are happy to replace bulbs and door seals, but for electrical repairs we advise you contact one of our friendly local suppliers, who will be happy to help.